I was attuned to Reiki Levels One and Two almost 2 weeks ago. These are frequency attunements so that you can resonate with a frequency of energy. After the attunement you go through what they describe as 21 days of Transformation, where your energy system is detoxing. I have been eating a lot more fruit and drinking a lot more water which is good for me becasue I used to hate drinking water because I didn’t like the taste, which people found bizarre because it has no real taste as such. I have been practising the Reiki sharing of energy, which is what it is called when you send out the energy and last night, before sleeping, I was reading a book on the chakras which gives affirmations relating to energy imbalances. I really wan t to understand the energy flow of the chakras. Just imagine wheels spinning and certain colours here and there is not enough to me. I am the sort of person who needs a bit more solidity intially then I can go with the flow more. So I went to sleep thinking of chakras and Reiki frequencies. My dream was the usual hotchpotch of walking around with unknown people and random conversations but one lucid scene was me wanting to go to the toile/cloakroom to” arrange myself” , maybe powder my nose..(my dream intention which seemed very urgent in athat absurd manic dreamy way) and going through a door with the number 174. I recall thinking in the dream that it was strange for a toilet to have a specific door number and pondering on it which was in hindsight, my mind’s strategy for imprinting the number so that it would propel itself to the forefront of my waking consciousness later. 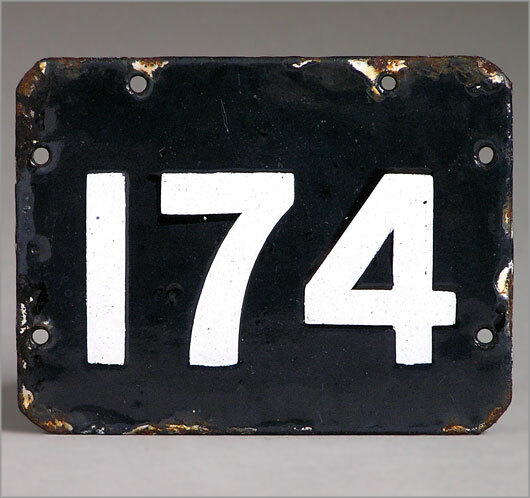 When I awoke and was making coffee, the number 174 popped up before the toast did and it seemed familiar in a friendly encounter kind of way and it did not take long for the part of the dream about the door to reintroduce itself. I love numbers and play around with them mentally just as much as words and from experience I know that anything really memorable in my dream usually leads to some interesting finding. I did the usual free association thing,(I have MA Psychoanalysis, took it because of my active dream life and an interest in the unconscious v conscious) seeing if the number led anywhere for me but it did not seem to. I did not focus on it. I left my mind to do its work. It’s like walking. It doesn’t need my full attention or administering instructions to it for it to function. On the internet later I was thinking of Reiki and energy work and following a train of thought I looked up frequency and chakras and in a haphazard way and many searches later I arrived at Solfeggio frequencies and lo and behold, there was the number 174. Briefly, the Solfeggio frequencies come from an ancient musical scale that was thought to be lost centuries ago and replaced with the scale that is used today. They are the original sound frequencies used in Ancient Gregorian chants including the great hymn to St. John the Baptist. Apparently these old frequencies are said to contain within them the power of creation and transformation. Solfeggio frequencies are believed to have the capacity to effect matter and consciousness. Investigators used Gematria (another of my favourite fascinations), esoteric mathematical practices, and the book of Numbers in the Bible to rediscover these frequencies. There are exciting suggestions that these old rediscovered frequencies might well hold the keys to long life, super-consciousness, accelerated healing, dimensional travel, and even the fabric of time/space itself. Engaging with the 174 frequency will arrange energy and perception in organized cube symmetries, so that it forms a stable foundation for the acceleration and evolution of consciousness. Through discrimination, the personality will become a vehicle for internal harmony so that the listener/receiver can live a life of purpose. This did amaze me but not incredibly as my mind, especially in my brand of dream state often gives me pointers and sets me scurrying around following clues in my waking life. Life is beginning to make some kind of sense which I have not quite articulated even to myself yet. If everything and everyone is frequency based it would explain illness, synchronicity (another of my favourites) and the law of attraction. Yes, time and distance could be effected if you attune a configuration to a frequency. I am going to have to explore this further and speak to my Reiki Master about this dream and what came out of it, when I see him in September. At the moment he is trying to be self sufficient with a group and live in the forest. This entry was posted in Dreams, Language and The Unconscious, Reiki and Energy Work, SOW School Of Wyrdynamics and tagged Dream, reiki, symbol. Bookmark the permalink. Been listening to solfeggio notes since reading this, very interesting insights!